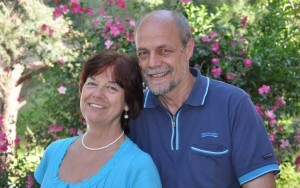 Michael and Annemarie founded the Shelter-Ministry in 1989. They have 4 adult children. Michael is the ministry-leader in Greece. Brigitte is in the Shelter on Crete since 2009. 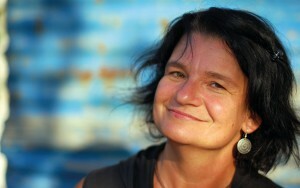 She is responsible for the housing of guests and the staff in the facilities on the Shelter-site. We believe in the divine inspiration, authority and infallibility of the complete Bible.We believe in the triune God: Father, Son and Holy Spirit. We believe that every person is separated from God by sin and will never be able to have eternal fellowship with God by works and rituals performed by oneself or any other person. We believe that Jesus Christ came to earth as the Son of God. He was born of a virgin, lived a perfectly sinless life, died on the cross on Calvary and rose again on the third day. We believe in Jesus’ ascension into heaven, from where He will return, the rapture of the church and the establishment of the millennial kingdom. We believe that the substitutional death of Jesus Christ for all people provides the only and absolute way for man to be cleared of his guilt and sin before God. We believe that every person that by true faith accepts Jesus Christ as his saviour will receive through God’s grace eternal life. We believe that every believer at his conversion is born again by the Holy Spirit, and at this point receives the Holy Spirit and at least one spiritual gift. We believe in the resurrection of all people: The believers to eternal glory in close fellowship and presence of God, the unbelievers to eternal damnation. We believe that Jesus Christ has commanded the world wide church of believers to go in His strength to all the world to make disciples. The Shelter-Mission was founded 1989 to proclaim the Gospel of Jesus Christ on the island of Crete and to make disciples amongst different nations. The founders were Michael and Annemarie Schwitzky. In the first years they served escapists who left the community in Europe to live as peons on the island of Crete. Churches and small groups were established to teach the young believers. In the 1990s God presented us a great ministry-site and two houses. These facilities have been a place to receive God's blessings for many people. Over the years God opened another door: The Turkish-Bulgarian community on Crete. Since the early 2000s many received Jesus Christ as their personal Savior and Lord. Many have been baptized. Beside the spiritual work the Shelter-ministry always wanted to help people in need. A high grade of flexibility and fast respond time are still important today. The Shelter-site shall be a place for Christians and seekers from all over the earth to meet and experience God. A house for meetings with additional rooms,the Lighthouse, is planed to have place for more people. The goal is to expand the existing ministry-work and to win more coworkers. We want to be more effective and active in our ministries on the island of Crete, especially the evangelism. Further we want to encourage visitors and short-term-workers to live for the great commandment of Jesus Christ: Make disciples all over the world. We want to work together with churches and ministries in Greece to proclaim the Gospel of Jesus Christ in Greece. Also we want to deepen our relationships to churches, brothers and sisters in Bulgaria to strengthen and guide the Turkish-Bulgarian Christian community. We pray, that God leads and guides to make the right decisions in the future. Do you want to pray for us?